Kay Rich, The Lyricist: M. Night Shyamalan, An Asian Uncle Tom??? M. Night Shyamalan, An Asian Uncle Tom??? "Manoj Nelliyattu Shyamalan (born 6 August 1970), known professionally as M. Night Shyamalanis, is an Indian American filmmaker and screenwriter who resides and works primarily in the United States. Manoj was born in Mahé, Pondicherry, India.His father, Nelliyattu C. Shyamalan, is an Indian Malayali physician belonging to a famous "Thiyya" tharavad from Mahe, Kerala. His mother, Jayalakshmi, is a Tamil Indian and an obstetrician and gynecologist by profession. In the 1960s, after medical school (at the Jawaharlal Institute of Postgraduate Medical Education & Research in Pondicherry) and the birth of their first child, Veena, his parents moved to the United States. his mother returned to India to spend the last five months of her pregnancy with him at her parents’ home in Chennai (Madras)." Now, with the cast of Avatar: The Last Airbender being all white, when clearly the cartoon is made out to be more of an "Asian" series is quite offensive. The movie being filmed in parts of Asia just adds insult to injury. But what do you call it when the film director himself is Asian--Indian to be exact. Does this go back to when Indians/Indian Americans bubbled in white on American standardized tests before 9/11? Are Indians so engrossed in wearing the full new identity of Middle Eastern that they forget about other Asians? Does M. Night Shyamalan realized what he's done with the casting? 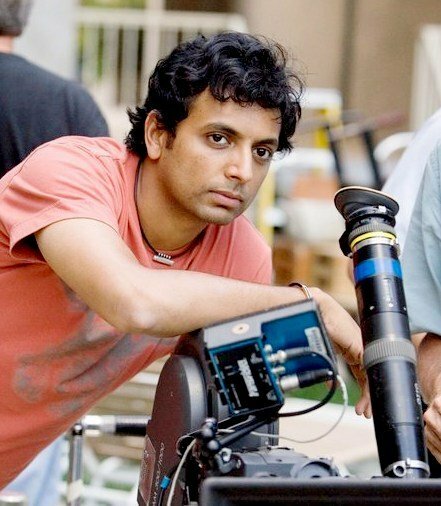 Is M. Night Shyamalan an Asian Uncle Tom? I could even see if the cast were stellar and the actors simply got their roles off of pure talent--that is obviously NOT the case--THE ACTING SUCKED!!!! The ONLY part I liked about the movie was the bending, and THAT'S b/c the bending reminded me of DANCING and I love to watch pple dance!